An alternative to our best selling Apple Cider Conditioning Rinse, to remove the silicone plasticisers in commercial conditioners and the last residues of shampoo soap. All those transitioning to Healthy Hair Shampoo Bars; travellers; regular BB Shampoo Bar users who dislike a vinegar rinse. You asked for a way to help to remove the silicone plasticisers in commercial conditioners and the last residues of shampoo soap, without using vinegar….so this for those of you that hate that smell but want the results! Combined with our favourite hair enhancing herbal extracts of horsetail, nettle and calendula to soothe the scalp. Incredibly economical, with over 40 rinses per tin. 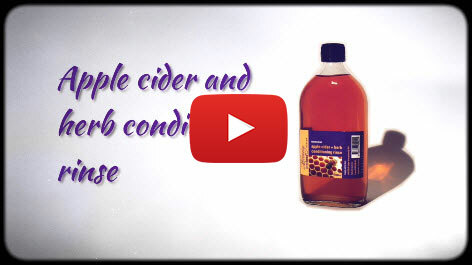 Use just a 1/4 teaspoon to two litres of water as a last rinse in exactly the same way as our Apple Cider Vinegar Conditioning Rinse – view the video on the How to Videos tab. I love this product! 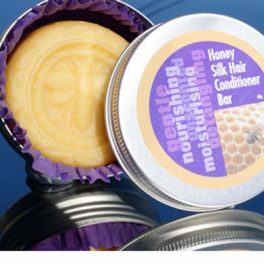 I got it as a sample and at first I didn’t use it but my hair felt quiet waxy after using the shampoo and conditioner bars. So next wash I tried it with the shampoo and conditioner, still a little waxy. So I tried just using it with the shampoo bar and it was great. I don’t use a conditioner just this and a shampoo. I think this is a must have when your using the bars. For about 20 years, my hair was in a natural state without coloring, but my atopic dermatitis dried my scalp and my hair became very weak. For several years, hot water alone (in Japan, tap water is soft) was used to remove stains, but lost confidence in hair quality. 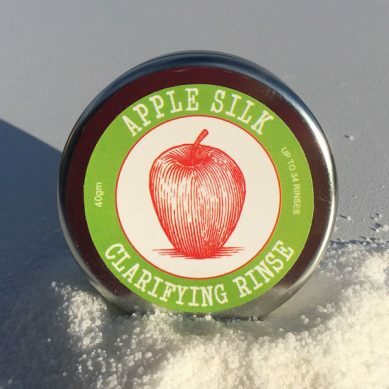 I knew beauty and bees, washed it with a shampoo bar, and I was still suspicious after rinsing with this Apple Silk Clarify Rinse. But when I dried my hair with a dryer and touched my hair, it was very soft and smooth! The feeling of use is also very natural and I understand that it is kind to body and hair. There is no unnatural smell and it is comfortable. Since I have only used a few times, I want to continue as it is. Thank you so much for taking the time to give us your positive feedback on the Apple Silk Clarifying Rinse – we are thrilled it is working well for you and leaving your hair feeling soft and smooth. Hopefully the rinse will help with your dermatitis too! This is a great product! My hair has a tendency to feel squeaky and tangly when shampooed clean, and this product makes it feel smooth, silky and virtually tangle-free after rinsing. I highly recommend it! Thank you for taking the time to write Elisa, we are glad you and your hair like the products. My hair has become very porous as a result of using a natural clay based shampoo, so it took me nearly two weeks to get the right water to rinse ratio. As it turns out I only need a small pinch, any more and my hair dries greasy and lank, but with brittle ends. However, now that I’ve got it right, my hair is almost like it used to be – shiny, soft, and my curls are bouncy without being frizzy or fluffy. I’m glad I persevered to get it right, it’s been a long time since my hair was this nice using a natural product. We are glad you persevered and it’s now working, we hope you love the products as much as we do. 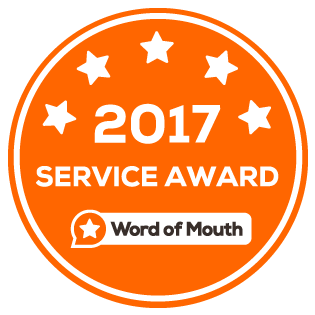 Thank you for taking the time to write this, as a small business we appreciate it. This is super convenient and effective. Would definitely recommend when using shampoo bars as it gets rid of any residue caused by hard water. I mix a quarter of a teaspoon of this with 1L of water in a spray bottle, spray over my hair after shampooing with a shampoo bar and rinsing the shampoo. I don’t rinse it out. The results have been fantastic, shiny soft hair that is not oily and not dry. 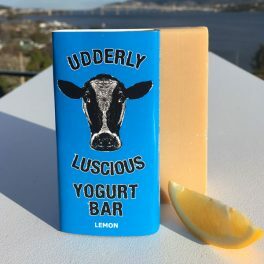 Great product, I’m so glad there is an alternative to ACV (which is beautiful but super difficult to travel with). 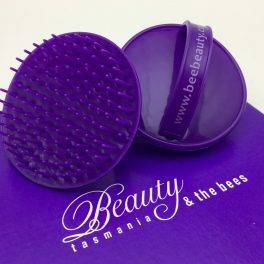 Thank you Beauty and the Bees, what would I do without you? This works amazingly! I found apple cider vinegar left my hair a bit stringy and then another natural conditioner didn’t wash out properly leaving my hair feeling waxy. If I just use shampoo bar my hair is still clean and soft but a bit fluffy, so I thought I’d give this one a go, as I do prefer to use a conditioner. Incredible! This is so so good! I rinse my hair out after washing and my hair is so soft and silky afterwards! My hair has never been better. And I’ll never wash my hair again without using this afterwards! And it’s so economical because it lasts so long. I am glad the Apple Silk Clarifying Rinse is working for you, it is a great, long lasting product. Thank you for your kind words. 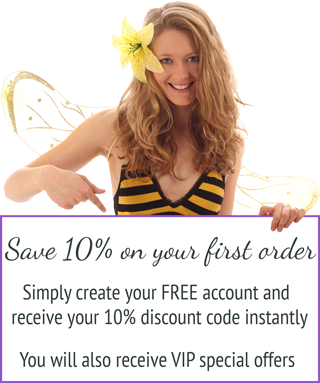 Yes Kathryn, I knew I’d formulated another winner when I put this together, glad that it is working so well for you! This makes all the difference to the softness of my hair after washing it with a shampoo bar. I put a small amount (quarter teaspoon) amount into a 1litre plastic bottle, fill it up with water and shake it to dissolve the granules, and after washing my hair with the Black Magic shampoo bar and using a little Silk Conditioner, I rinse my hair thoroughly then pour this Apple Rinse slowly over my hair and it instantly softens my hair, removing the waxy feel of the shampoo and leaves my hair so soft and manageable. I discovered your shampoo bars about a month ago, and loved them so much that I have given them to various members of my family. Now, my Mum, cousins, uncles and aunts are all using your shampoo bars with great results. 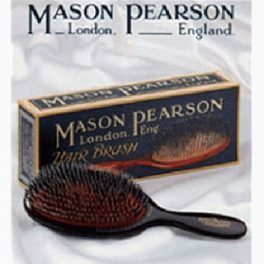 Although my hair dries beautifully without the Apple Rinse, I like using it because it leaves my hair so soft and manageable.